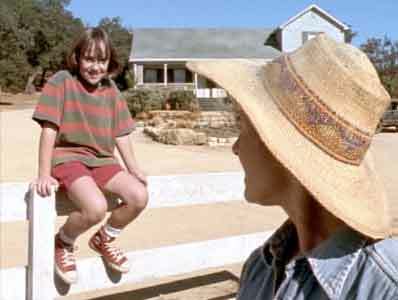 Mara Wilson wears red and black high top Converse “Chuck Taylor” All Stars in the film. Willow Johnson and her mom on the family farm. The small town of Waterston (pop. 256) is experiencing a bad drought. Water is restricted, and belts are being tightened. At the Johnson household, mom Casey (Laurie Metcalf) and dad Jake (Fredric Lehne) talk about the bills. They might lose the farm! The times are tough, but it’s not all bad. Like all small town people, they have their one and only pastime: viciously gossiping about everyone behind their backs and smiling cordially when they show up. 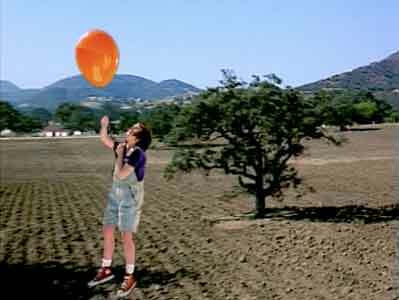 After Willow announces that a crop of balloons has grown overnight at Mr. Potter’s farm, the townspeople clamor to see them. 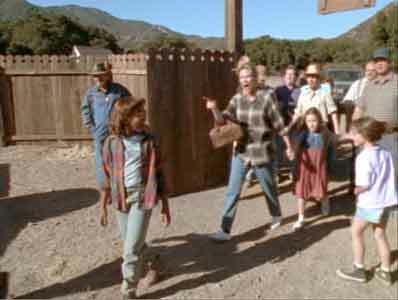 Anyway, preteen Willow Johnson (Mara Wilson, age 12) is hanging out with friends when they witness the arrival of a newcomer in town. His name’s Harvey Potter (Rip Torn), and there’s something magical about him. Stopped by the witless sheriff (Neal McDonough), Potter drops a pecan in a pie pan, and when we see it a second later it’s a full, bubbling hot pie. Delicious! Everyone instantly likes Potter because of he’s charming, inviting and enigmatic. Everyone except cranky old Weasel Mayfield (an excellent Roberts Blossom, in his last role). The town is abuzz. There’s someone new to gossip about! Did you hear Potter plowed his whole field with a hand tool? And overnight! And without water! Did you see him picking out individual corn seeds? He goes into the corner cafe and asks for a coffee TO GO! Scandalous! Willow especially takes a shine to him, and is the first to learn what he’s growing. It’s balloons! Balloons of every color. Only they’re growing from corn stalks. And, they exhibit a sort of sentience. 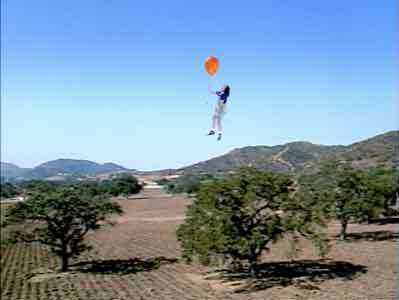 Willow becomes very attached to the balloon she obtained at the balloon farm. The townspeople come out to see the balloons. Potter names his price: ten dollars. Pricey! Still, they’re so magical everyone buys. Willow gets a nice red balloon. At the same time, investors want the people to sell their land when their only other option is foreclosure. Their insidious plot: turn Waterston into a toxic waste dump site. All big city businessmen are evil. (One of them is played by Ken Jenkins, from "Scrubs"). Jake gets mad because Potter isn’t a realist and is corrupting his daughter with nonsense (she believes her balloon is alive). Everyone is nervous about losing their property. And Willow just overheard Potter on the phone with the banks. Something about the foreclosures. This thrills Mayfield, who is trying to turn everyone against Potter and now has everyone’s ear. There’s a backlash. People destroy their balloons, even though the balloons have improved and enriched their lives. 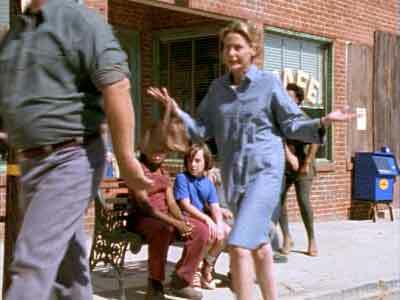 The townspeople become very upset when they believe that they have been swindled. Everyone is bummed. They’re turning on each other, and openly harassing Potter. Casey is losing hope, too, leaving Willow the lone soldier. That night, she steals some seeds, does some tilling at Potter’s, sets up irrigation and runs the water, which completely drains the reservoir. The next morning, the bank shows up. Her parents are ready to sign, so she runs away. Now both parents and police are after her. She escapes to Potter’s. The balloons she grew are different. They’re filled with water. When the FBI, the investors and the angry townspeople all show up, Willow releases the water balloons into the sky, which creates an excellent rainstorm. The people rejoice. The investors are exposed. The only place it’s not raining is over Mayfield’s plot. But Potter doesn’t hold a grudge, and shares with Mayfield, who’s heart grows from the kind gesture. (That’s how you’re supposed to treat your enemies.) It turns out the balloon money was to buy back the farm one family lost to the bank. Tearful goodbyes are said as Potter announces he’s leaving, his job done. 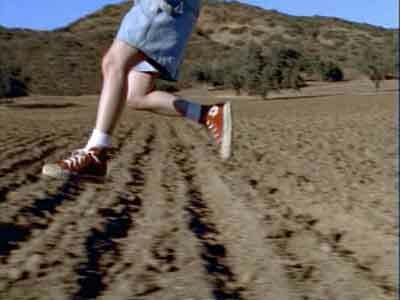 When her parents are about to sign away the deed to their farm, Willow grabs the paperwork and runs away through the fields. Balloon Farm is absolutely wonderful. Rip Torn is perfect and pleasant, and the film is so light and whimsical it’s infectious. It draws you into its fantastical premise easily. And it never once panders. It’s not "edgy" or "sassy" and there are no pop songs or cultural references. Most of the time is spent with grown-ups who have grown-up problems and hang-ups, but the film’s tone is informed by Willow’s innocent and faithful perspective. She believes, and so do we. It’s harmonious, and all the actors play their parts with an equally joyful zest. It may not relate to everyone, but it has sincerity. It would take a real Weasel Mayfield not to be caught up. It’s probably as close to a live-action Miyazaki film as you could get. 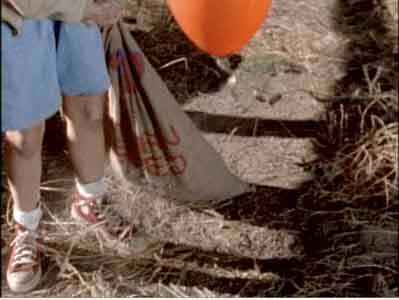 With the help of her balloon, Willow brings the seeds that she has taken from the town store to Mr. Potter’s farm. 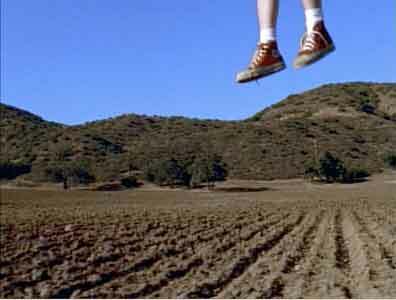 While running through the fields, Willow is lifted up in the air by her balloon. 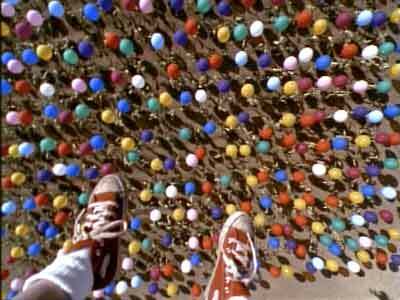 After floating through the air, she makes a landing at the balloon farm, ahead of the sheriff and other adults. Willow races to Potter’s farm to initiate her master plan. 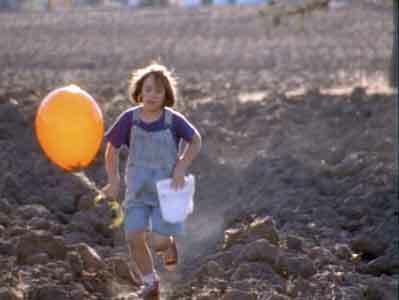 She holds her balloon and runs through the dirt fields when it suddenly lifts her up and carries her the rest of the way. 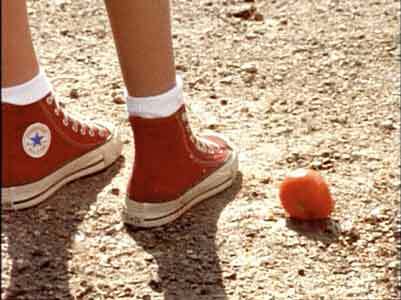 The camera shows a close up of the fallen tomato splattering Willow’s red high top chucks. Earlier, her friends try to make her throw a tomato at Potter, and she nearly succumbs to peer pressure, but doesn’t. 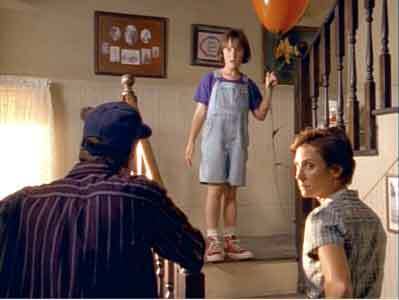 She knows the truth, that the balloons are real, and drops the tomato at her feet (clad in red high top chucks). Balloon Farm. (2004) Rip Torn, Mara Wilson, Roberts Blossom, Fredric Lane, Laurie Metcalf. Directed by William Dear. Categories: Family, Comedy, Fantasy.